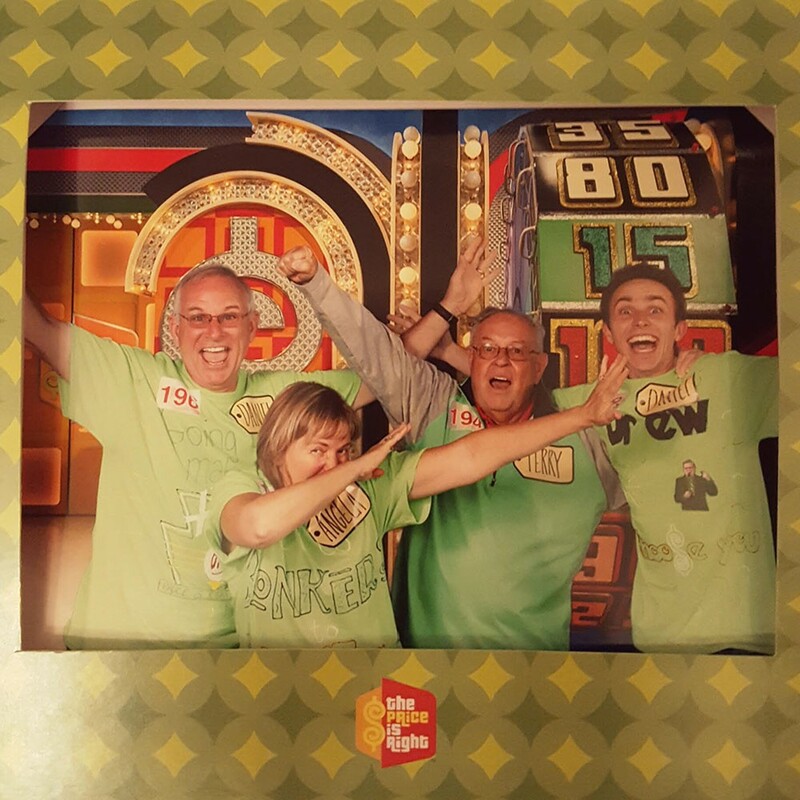 Danny Butler, a senior at Whitworth University, is taking the nondisclosure agreement he signed with The Price Is Right seriously, but his zeal for being on the show is apparent. Whitworth University senior Danny Butler is at far right. running CBS game show (it launched in 1956, running on NBC, then ABC, through 1965, then came back in its current form on CBS in September 1972) — he gave up his eighth birthday party to watch the first Million-Dollar Showcase Showdown back in 2004 — this is the second time Butler has attended a taping and his first time as a contestant in the hot seat. We spoke briefly over the phone prior to the airing of the show, recounting the process of the day's taping and how he was chosen to be a contestant. Danny tells me he was homeschooled and would watch the show during a morning break, between 10 and 11, as a kid. En route to California on a family vacation in 2016, Danny managed to get tickets for a taping of the show, telling this family once he arrived in the state. Everyone agreed, and a Tuesday morning void of an itinerary was filled. Danny's sister Bailee would end up as a contestant on this show, winning an Alaskan getaway but eventually losing the Showcase Showdown finale. On his most recent trip to The Price is Right stage, Danny and his family showed up at 7:30 am, along with a throng of about 300 other people. "I made shirts — My shirt said, 'Drew I Choose You,' with a Pokémon ball capturing Drew Carrey," He giggles as he tells me about his attire. In line for the show, everyone is photographed, given a name tag and fills out the necessary nondisclosure paperwork. Danny recalls the first time he was immersed in the crowd of excitable game-show viewers: "I thought there were plants in the crowd that would help choose who would get on the show, so I was very outgoing and friendly with everybody; I was talking to everyone." Danny walks me through the entry process: "Everyone is divided up into groups of 30 and led into a corridor." In the corridor, those in the group are interviewed one at a time, with basic questions just to see how people react, the old, 'How is your day going?" or "What do you do?" sort of questions. From there, guests move on to another corridor where they watch a video, which details what to do, or not to do, in the event you are chosen as a contestant. Danny mentions to me that game shows — and The Price Is Right is no exception — look for archetypes in the crowd for potential contestants. "I'm the nerdy strategist college kid archetype," he says matter-of-factly. Danny says he printed out spreadsheets of retail items to study for the show, but didn't end up relying on them all that much: "There's no way to memorize it all." He ended up studying strategies for different games on the show, but says, "I just wanted to have fun." I try to pull a little more information out of Danny as the conversation nears to an end. I ask him how heavy the spinning-wheel thing is on the show. He's a smart one; he sees through that, telling me that when his sister was on the show, she said it was heavier than she expected it to be. Danny, the activities coordinator at Whitworth, has set up the cafeteria for a viewing party of the show when it airs Thursday at 10 am. He's been applying to graduate schools as well as hoping to make it onto another game show, perhaps Survivor or The Amazing Race. He tells me that having contacts in the game-show scene might help him get on other shows; whether this avid strategist is chosen for one of these shows or not, I'm fairly sure that Whitworth has a winner.